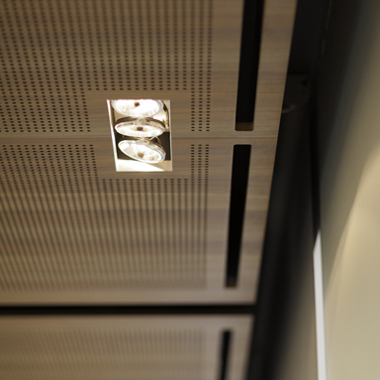 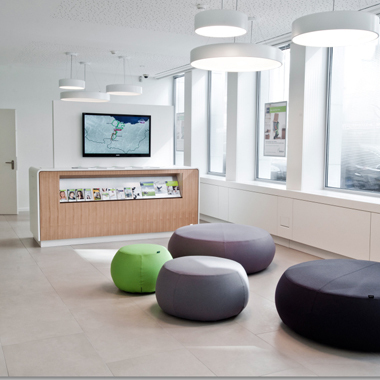 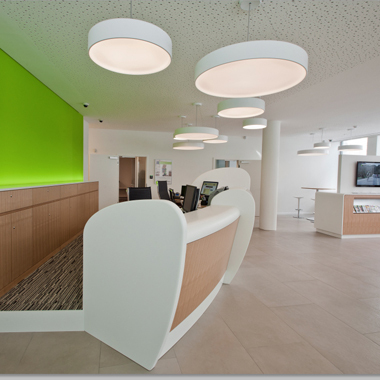 With is wide network of agencies, Raiffeisen Bank plays the originality card with its modern fit-outs. 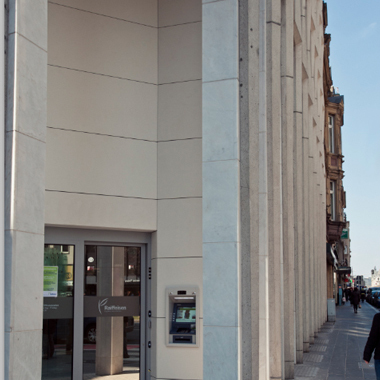 EGB delivered a project meeting the requirements in terms of creativity while respecting the codes and values of the bank. 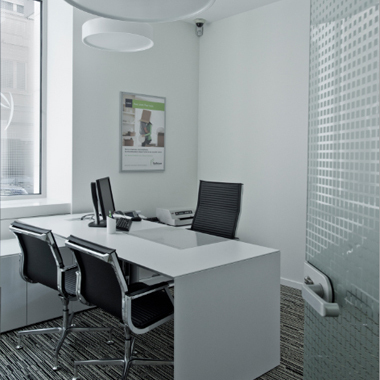 The general feeling of the space is this idea of softness with round shapes and touches of warm natural wood. 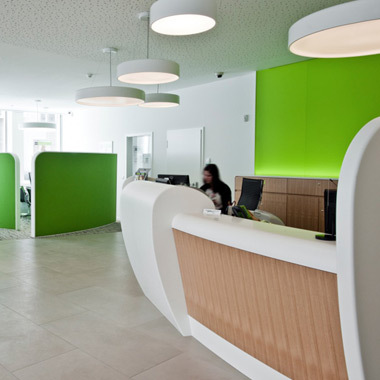 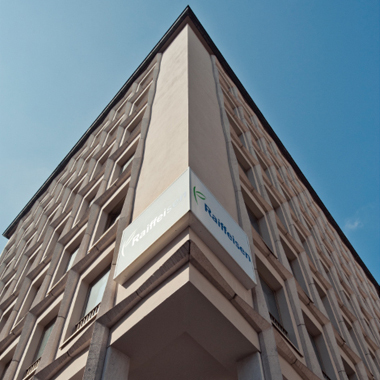 This new concept doesn’t answer to a strict bill of specifications but still remains in the vein of the bank’s identity and helps to convey the message that each client is unique. 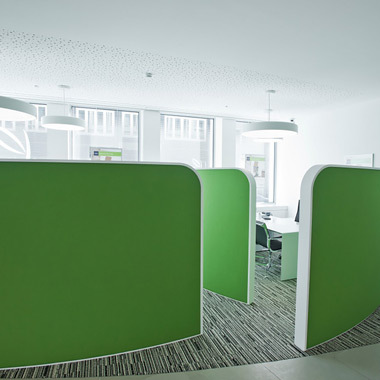 Creating a bank agency comes from a simple thought : the will of building a unique space which evokes this idea that Raiffeisen is “THE bank we need”. 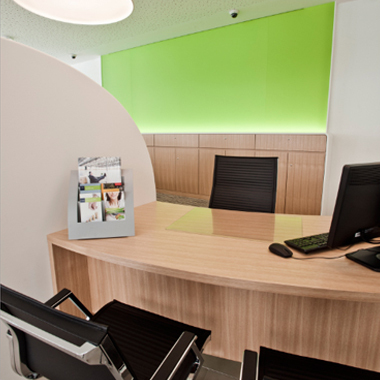 The modern design clashes completely with the prejudice one can have about a bank with modest origins. 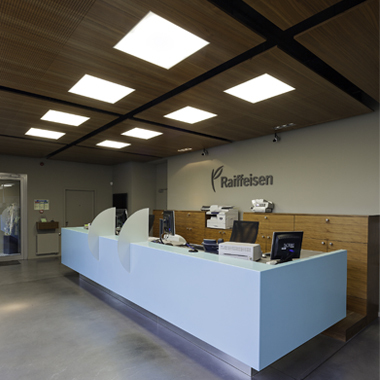 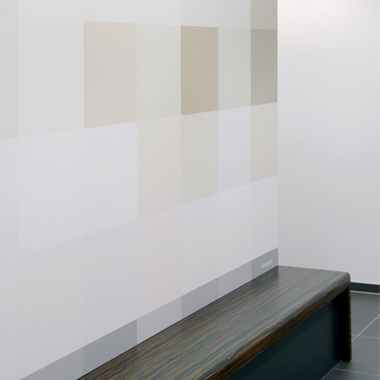 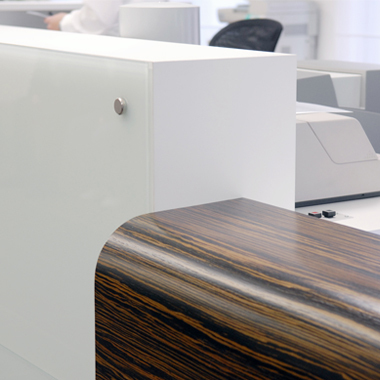 Everything was made here to serve Raiffeisen and its purpose : from the glazed doors offices facing the entrance, to the bold color of the counter. 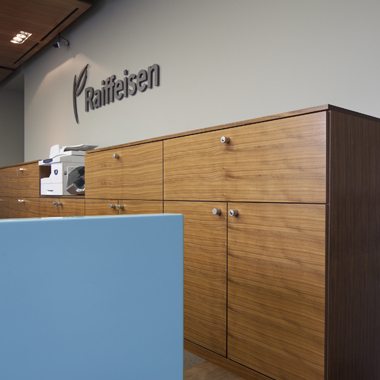 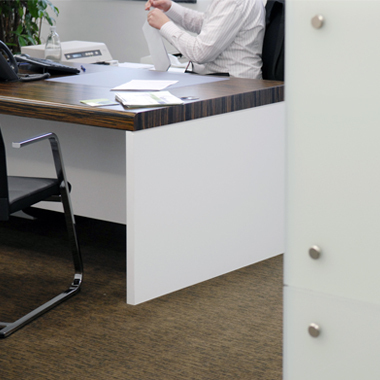 Whenever someone passes the front door, one gets the impression that Raiffeisen is here to help and support one’s projects.